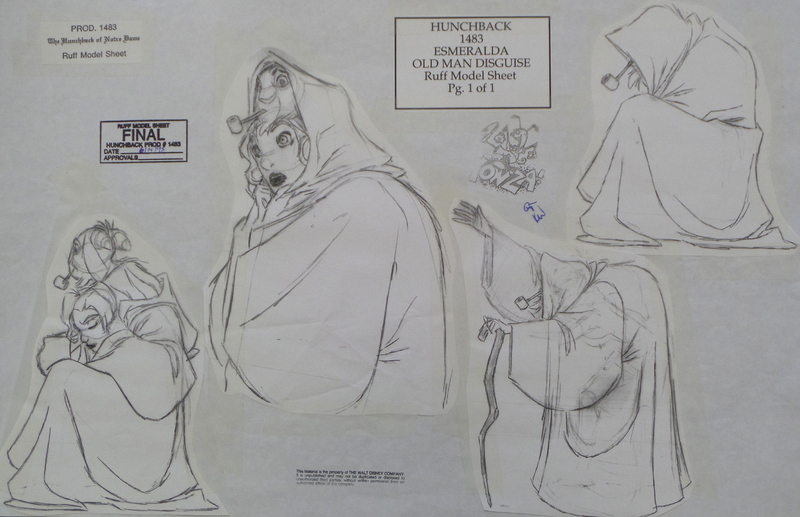 This is an original model sheet featuring Esmeralda from The Hunchback of Notre Dame (1996). Several images of Esmeralda in her old man disguise have been cut out by the studio and taped to a sheet of animation paper which measures 11" x 17" to form a single model sheet. The image measures 10.5" x 16.5".